Is it Friday yet already? Our first fullish week back to schoolwork ALL together in FIVE (yes 5) weeks. It went better than expected with afternoons spent more as accidental schooling than our typical middle/high school directives. In case you don't know what I am referring to, I have a small rant about it in Chicken Noodle Confessions last week. Easter was suppose to wrap-up our 2 week break (which started early on account to various illnesses). Isn't it wonderful to see how art exploration blessed me Easter morning? At the end of this past week, as Ashley's 2nd... or was it 3rd???.... round of sickness was hitting fever pitch, she decided to seek peace in some sort of accomplishment if it couldn't be homework! She lined up her rubber band creations to help in the decision on what new creature to add to the collection. She plans to sell these at the Farmer's Market, though she never hesitates to give them to kids at Bible club or youth group for some cheer. Last week rounded out not only feeling like spring but looking like it as well. I felt blessed to be out-and-about even if only with ONE well child and blessed to live in such a simply pretty town... the picture does it no justice but if you look close, you can see the signs of spring! Brooke and I ran errands and visited the Library where we found some videos on scientists, exploration, and the American Girl movies. Something to help the sick-time with Brenden and Ashley not so.... wasted.... for lack of a better word. I think that is what I despise most about illness in our house: NOTHING is accomplished and when the illness drags on I feel like so much learning time is lost, especially since the two sick ones are high schoolers. This is also critical because Ashley does entrance testing next month for dual enrollment at a local Christian college. Her ADHD and tendency to panic along with our travels and the lack of more consistency have me nervous if everything will transition smoothly. I so want to see her making greater leaps forward in her curriculum this year. And just when things looked up.... we spent Saturday morning in the ER. Ashley was apparently having Bronchiospasms and Pharyngitis. Brenden appeared to have strep. Another round of antibiotics. I was super worried this week would be week number SIX with no school. However, the good Lord blessed us with healing on the upswing by Monday. Brenden and Ashley didn't feel GREAT but they were well enough to push through basic lessons. I felt it was an important skill to learn: working when you don't feel great. It is a lesson they will need all of life. By Tuesday we all felt like "normal" was knocking on our door after a looooong stay far from here! Ashley made the casual suggestion that "we" should make banana bread to which I replied, "Why yes, YOU should!" A proud moment for this worry-wort mama, apparently my 16 year old has absolutely no problems jumping in the kitchen and kicking out a double batch of bread shaped goodness with ZERO help from anyone! Her dad was proud and requested one of the loaves to share at work (his co-workers enjoyed it very much). Home Ec is in the bag! Here is a little side-note on our week: "spring" in south-central Montana. I'm just glad we got some precipitation in any form. We all want a bustling garden but need good moist soil first! Thursday wrapped up with the first bike ride since illness spread. Antibiotics having had full effect, Ashley (who had been the sickest) led the pack! Everyone did great though Brenden's cough re-appeared upon return. It is manageable and all of us are looking forward to more outings as both weather and viruses clear. The basic 3 Rs were done through their regular curriculum each morning. Brenden tried a new Spelling plan which he found interesting since it integrated Language Arts (anything to get done quicker!!). History, Science and Health were more on a discussion basis. Our regular curriculum will re-enter next week. This week I read from the Science section of Under the Influence, How Christianity Transformed Civilization. You can imagine all the bases it covered! We have been studying the Renaissance mostly through secular resources so this was a great opportunity to discuss the Christian perspective and profound impact men (and ideas) of faith had on this transformational period. I was excited as I wrapped up grading today and set-up lesson plans for next week.... despite all the missed school, Brooke will finish her math program before we had planned on being done with school for the year! I am thrilled because we have never made it to the end of a book.... let a lone when so much school has been missed!! All other subjects and students are another story entirely though! So that is our last two weeks in review. 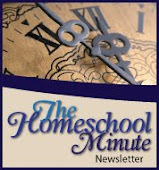 I hope it encourages you in whatever ups and downs your homeschool has just now! Hang in there, mom! My four are now almost all out of the nest. And yes, "Balance" needs to be every mother's word. Love the design of your blog and the bright, pretty flowers! Saw you over at Our 4 Kiddos Link up! Thank you for stopping by, glad you enjoyed the visit :-) My oldest is in college and my second oldest is facing senior year as dual enrollment. She works hard but has some learning difficulties. Her younger brother is in high school as well and he has Dyslexia/Dysgraphia. My youngest (like my oldest) does just fine and while the older ones are rounding the corner to flying the coup, I like to enjoy that my youngest still has 5 or 6 more years to bring peace to this mama heart! My middle two, however, often make me feel like I am logging an epic fail on homeschooling! 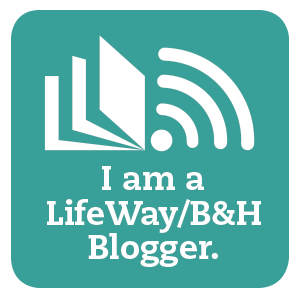 That is why I like the homeschool link-ups.... it reminds me I am not alone and we all doubt ourselves and ride the ups and downs of this great call to home educate. I do love teaching them and I trust God has great plans through their learning challenges! Thank you for the encouragement! Don't get to stressed about the break, sometimes we need them. As for the Dual Enrollment, I'm sure she'll do fine and be able to progress. I'm visiting from Weekly Wrap Up! I don't normally stress too much about breaks, we usually take a month off around Christmas and I try to schedule in periodic 3 day weekends for sanity purposes, I even had 2 weeks scheduled around Easter except we spent them sick with an extra week on each end! We try to wrap up school for the year by the first week of June because of birthdays and this year my youngest two are going to Christian Youth in Action Training starting the second week and will then spend the summer serving with that program so time is critical and with one about to be a senior.... it feels even more so. An entire month off after so many other breaks and deadlines coming felt like a set-back but now I am seeing where God is stretching our time and giving me peace. I appreciate the encouragement, it helps! I have to keep reminding myself of Matthew 6:34 because, like you said, she will probably do fine when she gets there! And I don't need to "worry for tomorrow".... :-) Thanks for stopping by!